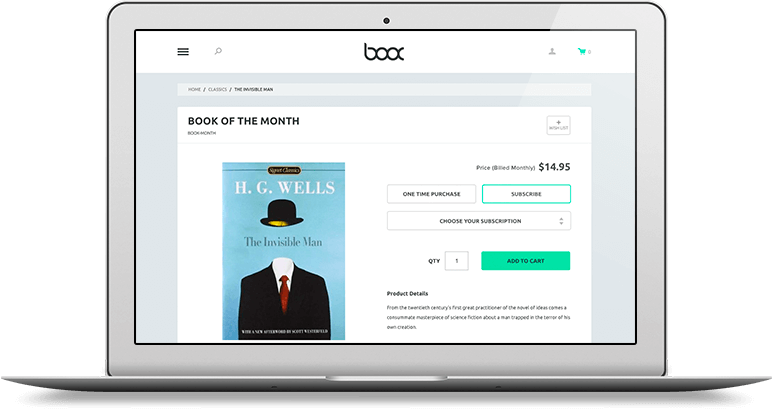 Generate recurring revenue by turning any product in your Miva store into a subscription. 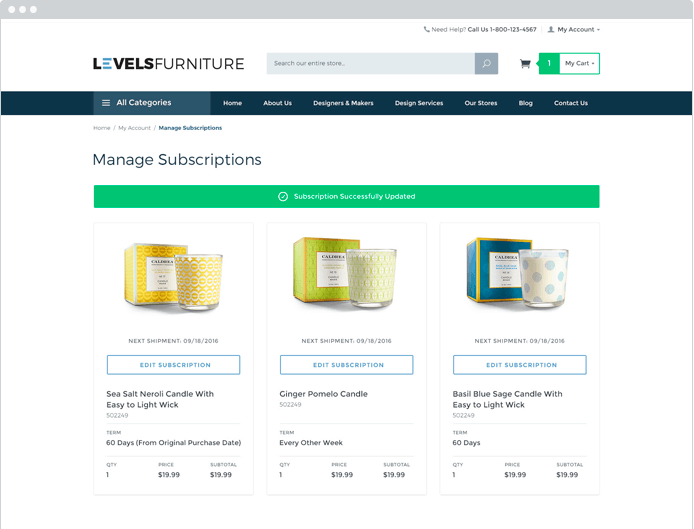 Any product in your Miva Merchant store can be sold as a subscription. You set the customer-changeable values and let your customers manage the rest. 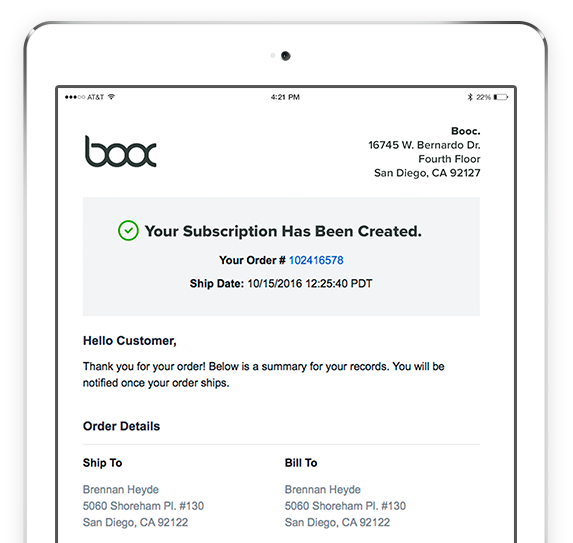 View upcoming subscription orders, cancelled subscriptions, and failed subscriptions with insight into the reason for failing. Your customers can change frequency, skip a delivery, change shipping method, update subscription quantity, change payment card and shipping address. You decide what level of control they have. Customers can easily save and update cards in their account thanks to MivaPay, our super-secure, PCI-compliant payment system. Learn more about MivaPay. Our notification system can trigger an automatic email response when a new subscription is created, changed or when an authorization fails. It can also notify customers when their saved credit card is about to expire. Start Generating Recurring Revenue Today!